Knowledge Bureau’s mission is to raise standards for excellence in financial education with relevant and practical knowledge and skills. It strives to provide an outstanding educational experience to adult learners who call Knowledge Bureau their lifelong academic home. Knowledge Bureau also publishes financial books for consumers who want a better relationship with their advisors. Evelyn was recently named one of Canada’s Top 25 Women of Influence. 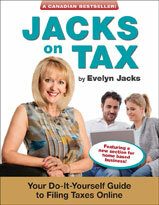 She is one of Canada’s most prolific and best-selling authors of 51 personal tax and wealth management books, the most recent is Jacks on Tax: 2014 Edition. She is also a highly respected financial commentator and speaker. She writes in numerous regional, national and online publications including the Toronto Star and the Toronto Stock Exchange, and appears regularly on CBC Newsworld, BNN, as well as provincial media to discuss current tax and economic issues. She blogs at www.evelynjacks.com, and tweets @evelynjacks. Evelyn was appointed by the Minister of Finance, Jim Flaherty to serve on the Federal Task Force on Financial Literacy, and provincially, by the premier of Manitoba to the Lower Tax Commission. Recently she was appointed President of the Manitoba Club, becoming the 77th President of the club and the 2nd woman in the history of the Club to do so. She has participated on numerous boards, including the United Way and the Associates at the University of Manitoba.